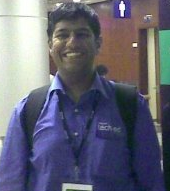 Aviraj is a Computer Engineer from Mumbai and currently working with Microsoft Corporation India as a Technology Evangelist. In his present role he's working with IT Professionals across India evangelizing Microsoft Technologies. In his previous role as a Regional Site Manager – MSIT (Microsoft IT) he was accountable for managing IT Infrastructure of Microsoft India - West Region. He has concluded various trainings on Microsoft Certified Systems Engineer (MCSE) and Sun Solaris System Administration (SCSA). An active member of IT Professional communities across India specially Mumbai User Group and Pune User Group supported by Microsoft. A real blogger, he is very compulsive on adding his thoughts to online blogs, forums, community and media. You can check his technology blog at http://blogs.technet.com/aviraj. He is very fanatical about speaking on IT Professional topics such as technology screencasts for Microsoft TechNet EDGE @ http://edge.technet.com/people/aviraj. He a regular speaker at various Microsoft Events such Microsoft Tech·Ed, MS TechDays, Virtual TechDays, Microsoft India Webcasts and many more technology events. In his spare time he likes to spend time with his family, hang around with friends, listening to rock music and he’s also passionate about long drives. You can follow him on twitter aviraj111. 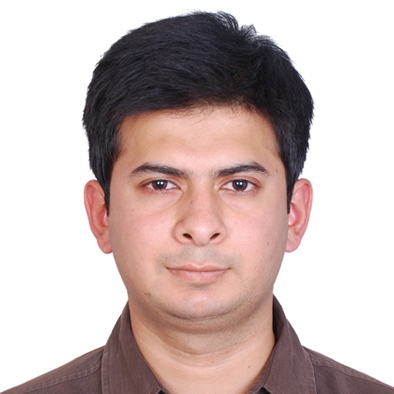 Abhishek is a Consultant with Microsoft Services, part of the Microsoft Global Delivery Team. He consults with clients and partners globally helping them to envision, architect, design, implement and revamp solutions around the Microsoft product platform. He has extensive experience in the System Centre suite, Messaging, UC / UM, Active Directory and is also an SME on Service Manager 2010, Virtualization & Cloud Computing. He has also worked on milestone engagements for customers on a variety of Microsoft technologies and platforms. When he's not immersed in technology, he spends time with family and friends and playing with his dog, and when time permits travels across India on his Enfield Bullet or Skydives. Ninad has been working on IT infrastructure services with experience in designing and deploying solutions based on Virtualization and Active Directory. He has participated in setting up Private Cloud solutions leveraging Hyper-V and System Center range of products. He has been a Microsoft Certified Trainer (MCT) amongst a host of other certifications like ITILv3 and Microsoft technology certifications for the System Center stack.